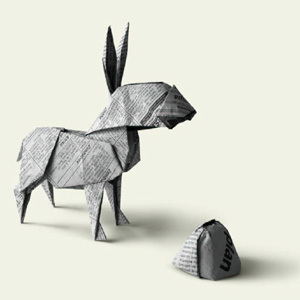 Most of this donkey is folded from a single uncut square. The ears were added separately (although in the original design, they were all from the same sheet). The rock, obviously, is made from a separate sheet.